So, I’m on this little trip. Yeah, I’m in Peru! First time on the South American Continent. I’m hitting one of my items on my bucket list. My husband and another couple are on our way to Machu Picchu, the ancient Inca ruins. And let me tell you, you can’t get there unless you’re specifically going there! No, you can’t fly direct. Hell, you can’t even fly to Machu Picchu. We flew from Arkansas to Houston, Texas. Houston to Miami. Miami to Lima Peru and stayed the night in the airport hotel and then flew the next morning to Cusco. From there we were picked up and transported by van to the Sacred Valley. From here, we’ll ride a train up to the ruins. Though I’ve been traveling for 3 days, in this modern age of air travel, I have yet to get where I’m going! But it will be well worth it. I have no doubt. Watch my Facebook page for pictures of our trip. We’re surrounded by the Andes snow-capped mountains in a beautiful country. The people here have all be wonderfully welcoming and the cultural costumes are incredibly fun and colorful. In the meantime, if you’re looking for the next in the Brotherhood Protectors series, you can preorder MONTANA RESCUE now. It comes out November 14th. It’s also a part of the SLEEPER SEAL Series of books written by a fabulous group of authors. So don’t miss this book! Pre-order now! 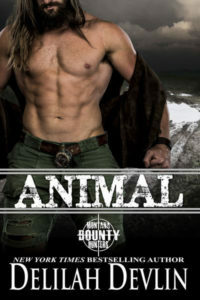 Plagued by survivor’s guilt and a bad knee, SEAL Maddog Maddox left the Navy and buried himself in a mountain cabin in Colorado where the only creatures he hunts now are those he puts on his table. Slowly going out of his mind with boredom, he’s on the verge of throwing himself off a cliff when an old friend, his former commander gives him a reason to live. His mission: Team with special CIA operative and assassin to reveal a terrorist on home soil. Raised by her father in the Crazy Mountains of Montana, Jolie Richards learned to fire guns before she learned to do her hair. When her father was killed by a careless hunter, Jolie joined the CIA to get as far away from Montana and the emptiness of a home without her father. 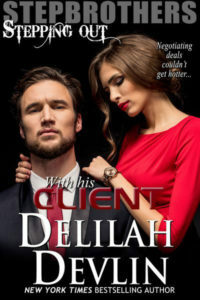 Her skills as an expert marksman land her as an assassin. When she kills one of a pair of brothers radicalized into ISIS, she becomes the target. In order to flush out the ISIS threat, she sets herself up as bait, but takes him to familiar ground in the Crazy Mountains. Used to working alone, she finds she’s been assigned a partner. She just hopes he stays out of the way of her accomplishing her mission. Together Maddog and Jolie team with the Brotherhood Protectors, a protection agency comprised of former military members, to expose their enemy before he can kill more innocents. ** Montana Rescue ** is part of the Brotherhood Protectors Series. It is also in the “Sleeper SEAL” connected series. Each book can be read as a stand-alone. They do not have cliffhanger endings. Each book in the multi-author branded Sleeper SEAL series can be read stand-alone, and individual books do not have to be read in any particular order. This entry was posted on Thursday, September 21st, 2017 at 9:56 am in General. Tagged: contemporary romance, Guest Blogger, military romance, SEAL. You can feed this entry. Both comments and pings are currently closed.